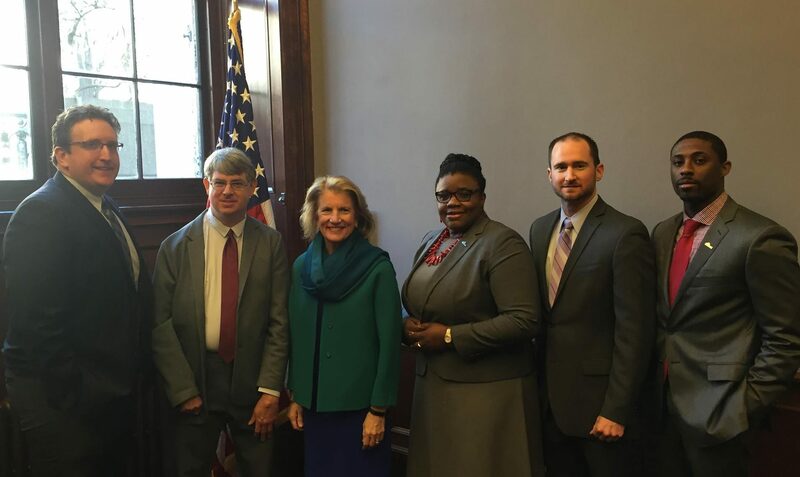 From Washington, D.C. to Charleston, West Virginia, Philanthropy West Virginia advocates for effective government that advances the work of philanthropy and nonprofits in serving West Virginia’s citizens. Philanthropy WV is assisted by its Public Policy & Advocacy Committee in partnership with the WV Nonprofit Association that includes members from both organizations. If you’d like to get involved, please contact Philanthropy WV staff at 304.517.1450. FEDERAL: For 2019, Philanthropy West Virginia has adopted initial federal policy priorities. You can check out the initial priorities here. If your foundation or corporate giving program has a policy issue, you can share it with our team by calling 304.517.1450. STATE: On the state level, Philanthropy West Virginia launched in 2018 the West Virginia Impact Commission to bring together philanthropy, nonprofits, executive and legislative branch leaders of West Virginia state government. This the FIRST commission of its kind in the nation to advocate for philanthropy, nonprofits, and West Virginia’s communities and citizens. The WV Impact Commission held its first three meetings in 2018 and resulted in updated practices by the State Auditor & Governor’s Office on nonprofit grant reimbursements/payments. For an overview of the WV Impact Commission, visit here!